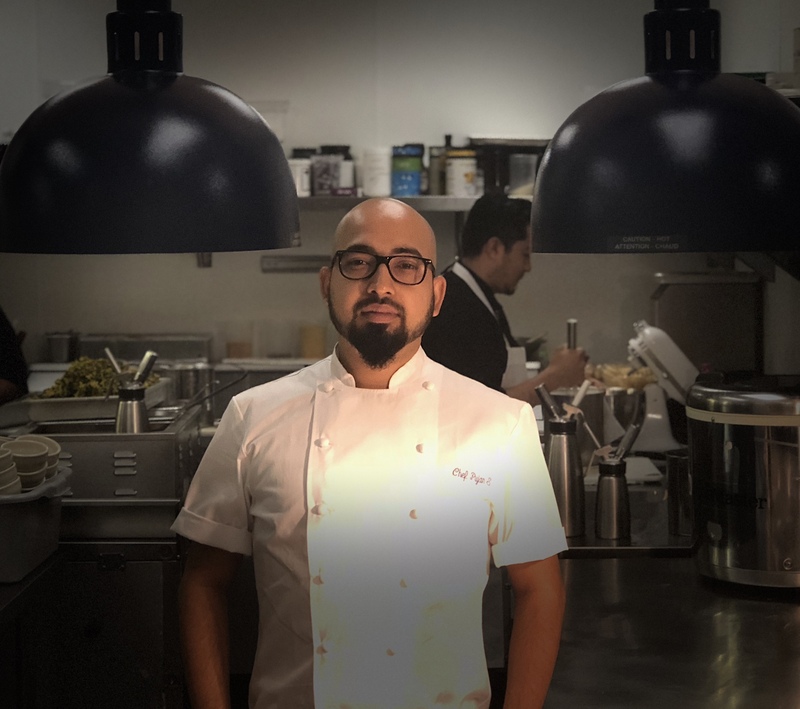 Born in Kalyani, India, Chef Pujan, who is currently the Sous Chef at ROOH, moved to San Francisco with 12 years of culinary knowledge of traditional Indian cuisine. He graduated from the Culinary Academy of India and started his journey with Princess Cruises, then moved back to India to join Club Mahindra Holidays, the largest timeshare hospitality chain in India, which allowed him to travel throughout the country. He used this opportunity to study the vast Indian Territory deeper, exploring various herbs & spices to develop a number of recipes using the knowledge he had gained from his time traveling abroad. Those experiences set him up for the creation of novel recipes in his most recent venture as the Head Chef for Ek Bar, rated by Condé Nast as one of the world’s best in Delhi. Rooh opened to great fanfare in San Francisco and in 2017 won Golden Gate Restaurant Association’s People’s Choice Saucy Award. Chef Pujan added to his own accolades in 2018, when he was awarded Sous Chef Of the Year at the Third Annual Bay Area Saucy Awards. He also appeared on the hit Food Network television show Chopped, making it all the way to the final round, and came in second overall in the competition. All demos take place in the CUESA Classroom (under the CUESA tents in front of the Ferry Building) and are free to the public, with recipes and samples for all.